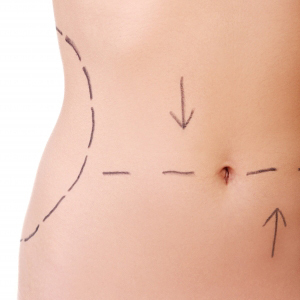 Who benefits from extended tummy tuck? Clients with excess abdominal skin as a result of major weight loss. Large folds of excess skin are not only unsightly but can also lead to fungal infection. Clients with stretch marks by either removal of the affected skin or the tightening of skin. Clients who wish to have a flatter, tighter, more contoured abdomen and narrower waist. This is especially helpful for women whose stomach muscles have changed after pregnancy or individuals who have drooping or sagging skin after weight loss, aging or pregnancy. Clients wish to increase self confidence that comes with the enhanced abdominal shape. Clients who wish to remove belly fat cells to keep your internal organs functioning properly without added toxins, pressure and fatty acids. How is extended tummy tuck surgery performed? The extended tummy tuck procedure is generally performed under general anesthesia. The surgeon makes a larger incision that runs along the lower belly, but also extends behind the hips. Dr. Boonchai has to remove the fat and excess skin around the hips and back as well. Dr. Boonchai will lift the flap of abdominal skin, cuts any excess skin along the length of the incision and connects the weakened or torn muscles. He then stretches the client’s skin down and past the incision line. He will suture the abdomen, and then cut away any more excess skin and tissue. Belly button may be re-positioned if necessary. Bleeding tendecies – problems with blood clotting, or lack of clotting. Scarring problems you have had in the past – like keloid scars and hypertrophic scars. Hypertension (High blood pressure) – particularly if it is not under control. Smoking – this may affect your reaction to the anaesthetic and prolong the healing process. Please stop smoking 4 weeks prior to surgery. Please avoid aspirin and brufen-containing medication for two weeks prior to surgery to eliminate the chance of post op bleeding. Generally it is best to continue any blood pressure or blood sugar medications. These may safely be taken with a sip of water on the morning of surgery. 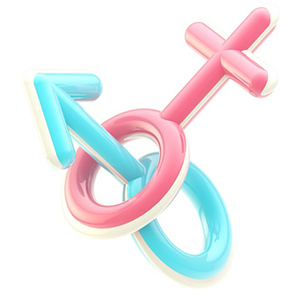 Women should ensure negative pregnancy test before surgery. Protect your health prior to surgery. Even a simple cold could cause complications with the anesthesia. If you do develop an illness right before your surgery, let your surgeon know. You may need to postpone your body contouring surgery until you feel better. On the day of your procedure, do not wear any skin care products, makeup, deodorant, perfume, nail polish or powder. After your extended tummy tuck procedure is completed, dressings, bandages, and binder will be in placed around your tummy and waistline to provide additional support and lessen the movement and the resultant discomfort. Bed rest for the first 24 hours. Dizziness and fainting can happen during this period of time when you go from a laying to a standing position. To help prevent this, move gently when going from laying to standing or sitting positions. The period of greatest discomfort does not usually last more than 24-48 hours. Thereafter, you may find that you need your pain medication less frequently. You will experience some pain associated with the surgery which is usually controlled well with pain medications. Upon discharge you will have prescriptions for pain medication that you will take as needed, and antibiotics that you will need to take for several days to decrease chances of infection. You should be able to resume your regular activities in about two weeks, although you should refrain from heavy lifting and strenuous exercise for several months, it may take six months to a year for you to get completely used to your tighter stomach and body. Upon completion of healing process maintaining proper diet and exercise routine should assure a long lasting result. Expect for swelling and fluid retention, bruising – varies, usually lasts approximately 2 weeks and slight signs of blood on the dressing and girdle. It may be necessary to change the dressing. Severe pain not responding to pain medication. If girdle gets too tight. Prices include all hospital, operating room, anaesthetists’ and doctors’ fees, a single private room, standard meals, medications and medical supplies. Generally patients will only pay an additional amount for telephone calls and additional meals extra to the standard hospital supplied meals. Other plastic surgery procedures performed by Dr Boonchai.